Take a normal stance and place a tee in line with your back foot, about 2 inches above your intended target line. Then measure the distance from the tee to the golf ball and place another tee equidistant to the left of the golf ball. 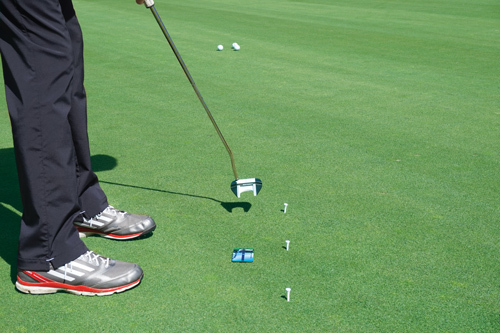 Swing the putter back and through with even cadence and stroke the putt. 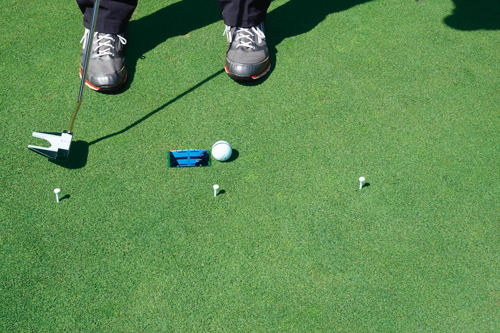 Try another shot with the same stroke and putt the next ball within 12 inches of the first ball. 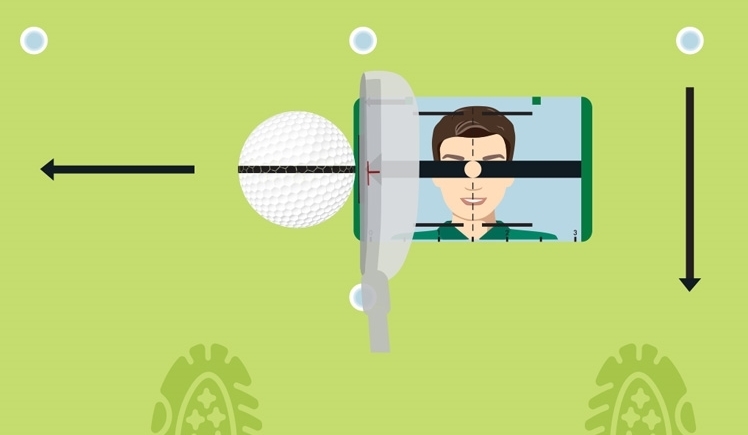 This drill helps groove your stroke and distance control.